Albert Nobbs is the tale of a woman posing as a man in 19th-century Ireland, and it is an amazing, incredible story of humanity: how cruel we can be, how we will do anything including totally losing our sense of self in order to survive. Last night we were treated to a private premiere of the movie in Fort Worth thanks to power couple Cami and John Goff. John is chairman and CEO of Crescent Real Estate Equities, which owns the Residences at the Ritz Carlton in Dallas, one of my favorite Dallas high rises. 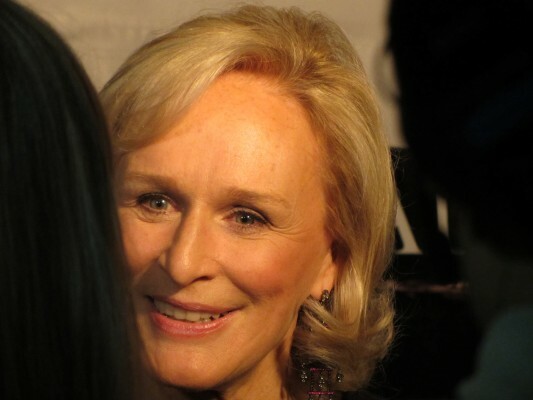 In October of 2010, Glenn Close, the star of the movie, was in town with Dallas-born film producer Bonnie Curtis (Saving Private Ryan, Amistad, Minority Report) seeking financing for an indie film they were planning called Albert Nobbs. 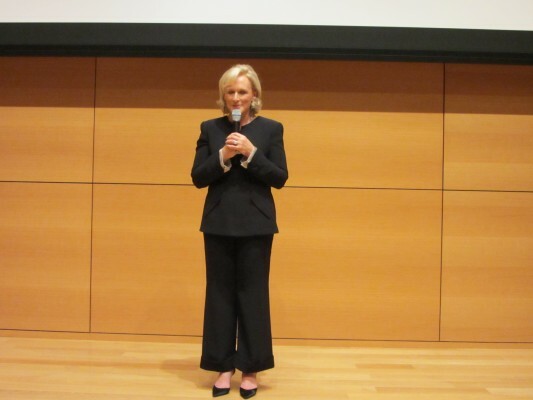 Those meetings took place at the spectacular home of John and Teresa Amend, who own Mt. Vernon on White Rock Lake, now listed with Allie Beth Allman for $29.5 million. John and his wonderful sons are in commercial real estate. Another power real estate couple drove over from Fort Worth that night, John and Cami Goff, and stepped up to the plate to be the main financiers for Nobbs. Last night, we learned that Goff does movie financing the “Fort Worth” way: he asked Glenn’s husband, David Shaw, who happens to be my husband’s cousin, to match the funds he put into the flick. Guess they call that having some skin in the game! The Goffs also visited the movie set while in production in Ireland. So, as a thank you to North Texas and well, yes, Fort Worth, the producers brought the finished project back to Fort Worth for last night’s first, invitation-only, red-carpet screening at the Modern Art Museum of Fort Worth. It was star central with Glenn, Bonnie Curtis, and director Rodrigo Garcia, and some cast members as well as the glitterai of DFW including the Amend family, Dave Perry-Miller, Gene and Jerry Jones, David and Anne Sutherland, Blake and Brooke Hortenstine, Dean Fearing, Fort Worth Mayor Betsy Price, and Porter Farrell, partner in Presido Pictures. The movie opens Jan. 27 at three theatres here in North Texas, including the Angelika in Dallas. Glenn and Bonnie hope that North Texas shows Hollywood how much we love movies by supporting it — trust me, this is not a movie you want to see, you MUST see it. I do not want to give away the story, but in a way, there is a real estate theme trickling below the surface. The main character, Albert Nobbs, dreams of buying a certain piece of real estate as his (her?) ticket out of poverty. Yes, even in 19th century Ireland!